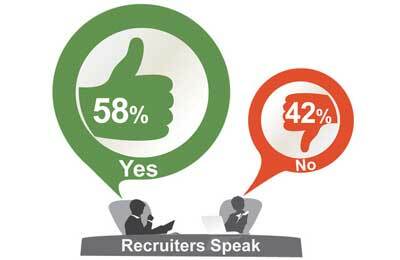 Sixty-four per cent of recruiters in the GCC anticipate new jobs to be created in the coming months, said a survey. Among all sectors, recruiters from the oil and gas sector were most buoyant with 83 per cent of them saying that new jobs will be created in the second half of 2012, said the survey conducted by Naukrigulf.com with over 120 recruiters across the GCC region, which revealed a cautious yet optimistic hiring sentiment. Fifty per cent recruiters predicted that jobs will be created for jobseekers with 4-8years experience level, while about 32 per cent predicted jobs for above 8 years plus experience levels. The Naukrigulf.com Hiring Outlook survey is conducted to gauge the hiring trends across sectors. This gives a perspective about the employment opportunities in the market and throws light on increments, job opportunities and attrition levels. Tarun Aggarwal, business head, Naukrigulf.com said, “Business environment continues to be robust and we see a positive hiring sentiment in the core sectors of oil & gas, construction and hospitality. The survey also revealed the increments organizations gave out to their employees in 2012. Forty-three per cent of the recruiters surveyed said that the range of increments were within the range of 5 per cent and 10 per cent. While 10 per cent recruiters said that there were no increments given out this year, 21 per cent said that the increment ranges were within the range of 10 per cent and 15 per cent and 16 per cent said that their increments will be less than 5 per cent. Fifty per cent of recruiters who took the survey said that they face a talent crunch while hiring their employees. When questioned them on which nationalities do they experience talent crunch then 70 per cent of them said Arabs (including Nationals). However, a considerable number (50 per cent) said that it s difficult to hire Indians as well.